NOTE: The LIP INK corporate information brochure file is a zipped file. You may need to download Free WINZIP to open it. All documents are in PDF format - you need the Free Adobe Acrobat Reader. 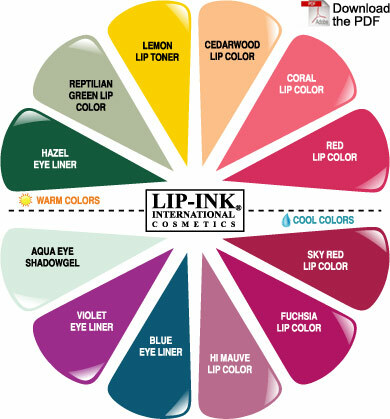 Determining the color of LIP INK Semi-Permanent Lip Color that will compliment your complexion can pose a difficult dilemma, which is why LIP INK has simplified the task with the Shop by Color feature. 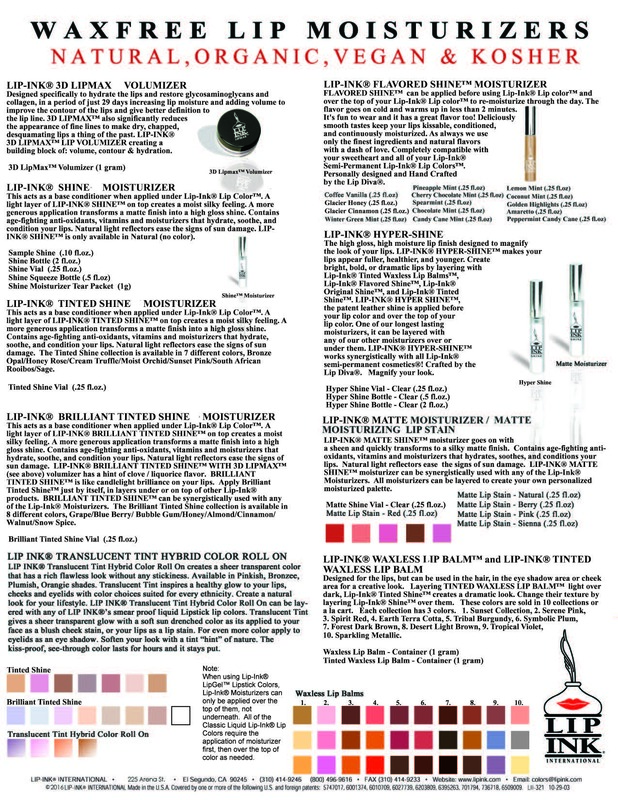 This easy to use color table allows you to navigate through the natural shades of organic lip tint with ease and success. 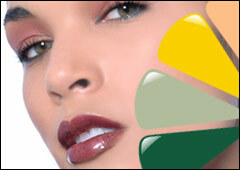 Each lip stain color is divided into a shade type with varying color intensities: subtle, medium, bright, and intense. 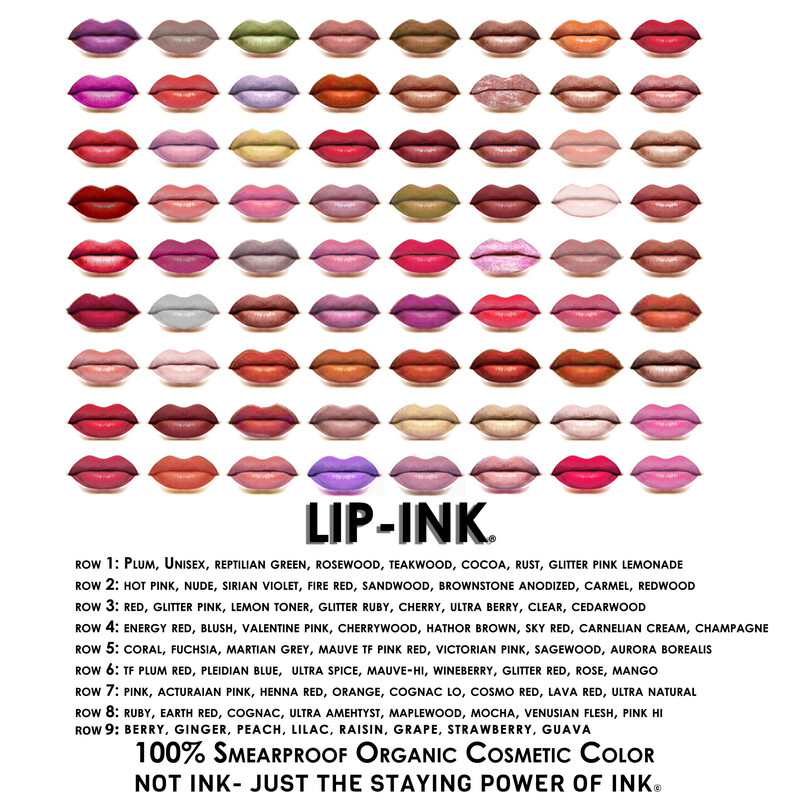 Explore LIP INK natural lip shades available in the following colors: Pink, Red, Mauve, Plum, Coral, Terra Cotta, Brown, Orange, Berry, and Natural. Explore sheer bliss with bashful and innocent shades of Pink. These pinkLIP INK shades offer a flirtatious wink of subtle pink to any make-up montage. The assortment of ravishing RedLip Tint drive exhilarating thrill onto the lips. This natural lip shine carries reds varying from subtly earthy to fiercely intense tones. You can also send us a swatch of your favorite color on the middle of a tissue (in a poly bag for protection) for us to match up. 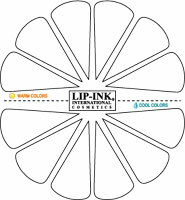 Create your own personalized color wheel by matching LIP INK Color on your paper color wheel.